Though Oneplus 5 has just been launched and got a lot of OTA updates on its way, the Oneplus 3 and 3T are not yet forgotten. The open beta program for the former flagship duo still stands. Today, the Hydrogen OS Open Beta OTA update is rolling out with several bug fixes, optimizations, and system stability. This also means that the next Oxygen OS Open Beta shall receive the same. It doesn’t contain any of the OnePlus 5 apps features and launcher version. However, it does bring Oneplus Launcher v2.1 for OnePlus 3/3T. New features have been added like Bluetooth device power display, SMS content automatically recognizes Email Address, Contact Lunar birthday reminders. The launcher has been updated to a newer version and many bug fixes have been made available. You can see the complete changelog from below. Interface style applications ⁃ update the clock, one plus accounts, etc. As you can see, the launcher has been updated. The app drawer now shows recent apps. Newly installed apps now show a blue dot. Improved visual effects of the widgets sections. 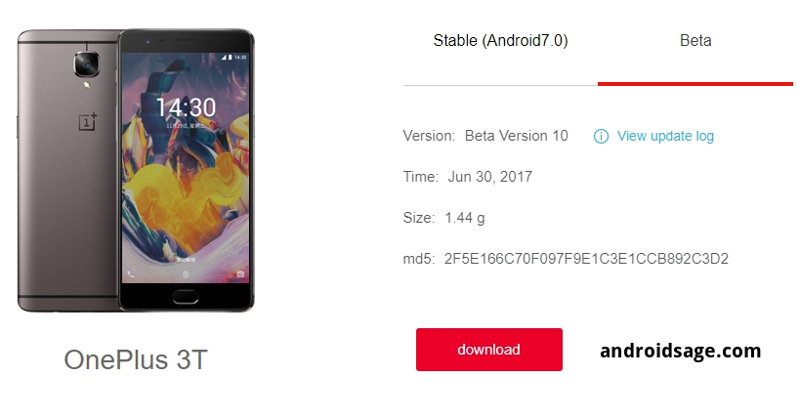 How to install H2OS Open Beta 10/16 on OnePlus 3(T)? Usually, the OnePlus Open Beta OTA updates are live instantly across the globe for all the users who have opted for the beta program. Unlike the official Oxygen OS 4.1.6 for Oneplus 3/3T, the beta doesn’t roll out regionally. So you can go to Settings – System Updates – and Check for OTA notification. If its shows up, then download and install via stock recovery. This is applicable only if you are on Hydrogen OS public beta updates. Moreover, if you are on any other stock firmware like Open Beta or Oxygen OS, you can easily switch to H2OS by doing a local upgrade. For a local upgrade, you will need the full stock firmware zip file. What does this mean for Oxygen OS 19 for OnePlus 3? Usually, there are 2 Beta updates in a month. As the Hydrogen OS beta is up, the Oxygen OS Open 19 for OnePlus 3 and Oneplus 3T Open Beta 10 will be live as soon as July 1, 2017; which is tomorrow. So stay tuned and we will update you with it as soon as it is live. Next Entry Samsung Galaxy J3 Android 7.0 Nougat – How to download?